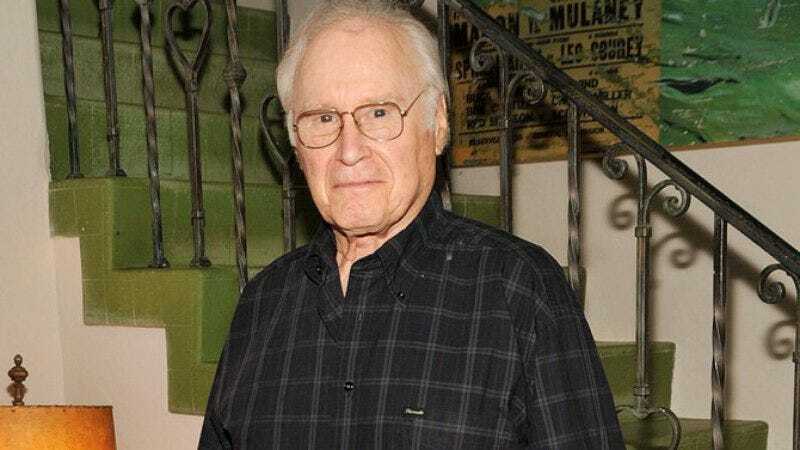 George Coe, an Oscar-nominated actor and longtime voiceover artist, has died. He was 86. For more than 50 years, Coe worked in the stage, film, and television industries, with an especially extensive array of commercial work. Born in Queens, New York, Coe began his career in theater, appearing in 1957 opposite Angela Lansbury in the original cast of Mame. He went on to to appear in films like Kramer Vs. Kramer, and in 1968 was nominated for a Best Live-Action Short Film Oscar for “The Dove,” a satire of Ingmar Bergman films, which he both starred in and co-directed. Coe acquired a long list of television appearances over the years, including shows like Star Trek: The Next Generation, Bones, The King of Queens, Nip-Tuck, Grey’s Anatomy, Curb Your Enthusiasm, Gilmore Girls, and The West Wing. One of his most notable roles is as an original member of Saturday Night Live, credited as a cast member for the first show in October 1975. He also voiced the Autobot Wheeljack in Michael Bay’s Transformers: Dark Of The Moon. Recently, Coe had enjoyed a resurgence of attention by voicing the long-suffering butler Woodhouse on FX’s hit animated show Archer. Hopefully, he was pleased to see his final screen credit become such a successful and long-running role, fitting for a man whose career boasted such an enduring resilience.